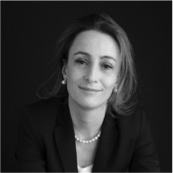 Francesca supervised more than a thousand arbitration proceedings in many different languages, taking place across the globe and concerning a wide variety of matters. She is one of the principal draftspersons of the 2012 ICC Rules of Arbitration. She is qualified as a Rechtsanwältin in Germany and holds a PhD from the University of Heidelberg. She has published various articles and books, including the “Secretariat’s Guide to ICC Arbitration” (co-authored with J. Fry and S. Greenberg). She regularly lectures on international law at universities and business schools in various European countries.